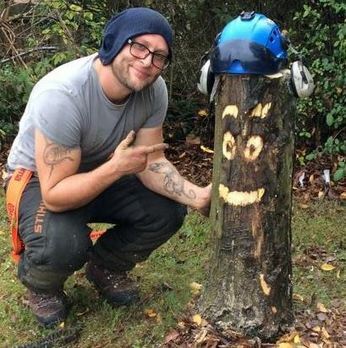 Nottingham Tree Surgeons have considerable expertise in Tree Care and have a personality too! Click here to call Notts Trees. We have been offering exceptional tree maintenance facilities for many years. We offer a highly comprehensive, competitively priced service, covering the entire area of Tree Management. Considerable areas of Nottingham are covered by Tree Preservation Orders, which are in place to safeguard trees that make a substantial impact on their local environment. We can offer expert advice on possible planning problems regarding Preservation Orders. We believe strongly in treating our customers with care and strive to give a quality service at competitive prices. Our whole approach is built around a desire to provide you with affordable solutions to whatever arboreal problems you may have. Your needs will be carefully discussed, and you will be kept fully informed of progress during the course of the project. ​Our expert tree surgeons can evaluate your property to determine your requirements, and we will be happy to customise our services to suit your needs. Nottingham Tree Surgeons can provide a wide variety of tree care services and can handle both commercial and residential projects - no job is too big or too small. ​Just complete the form on the right or call us today on 0115 824 9899 to arrange a visit to discuss all of your tree maintenance requirements.